Visit Bosnia & Herzegovina and enjoy in our country rich in history, culture and nature. Embark on a journey with our private guides through natural landscapes and learn about the turbulent past of this heart shaped country in Europe. Spend 7 days in Sarajevo and visit our capital’s Old Town Bascarsija and find out more about its Ottoman, Austro-Hungarian, Yugoslav and modern rule. Apart from Sarajevo, you will take a visit to Herzegovina and it’s jewels and pearls, Mostar, Konjic and Blagaj. Mostar is a world famous city with its Old Bridge, an UNESCO monument that proudly stands above the green Neretva river, while Konjic is a small town dating from Ottoman empire. Blagaj, with its source of rver Buna, is truly a hidden gem in our country and you will no doubt be amazed with the energy of this unique place. To escape from crowded cities and tourist attractions, our guides will take you to our Olympic mountains to enjoy the fresh air and surrounding nature and take a journey back in time when Sarajevo was the center of the world during its Winter Olympic Games of 1984. As a part of the history tours in Bosnia & Herzegovina, you will also visit Jajce – a capitol of Bosnian Kingdom during 14th century and Travnik – city with remarkable architecture from Ottomans period of rule. Jajce also has significant history importance in modern times and is also famous by its surrounding nature and one of the world’s most beautiful waterfalls. It is worth noting that Travnik has kept most of its appearance as during the Ottomans period with its numerous mosques, houses and fountains. This package is perfect for solo travelers, couples or families with children. In 7 days time you will visit almost all that Bosnia & Herzegovina can offer you. Package price is made on 2 travelers in double room sharing basis. 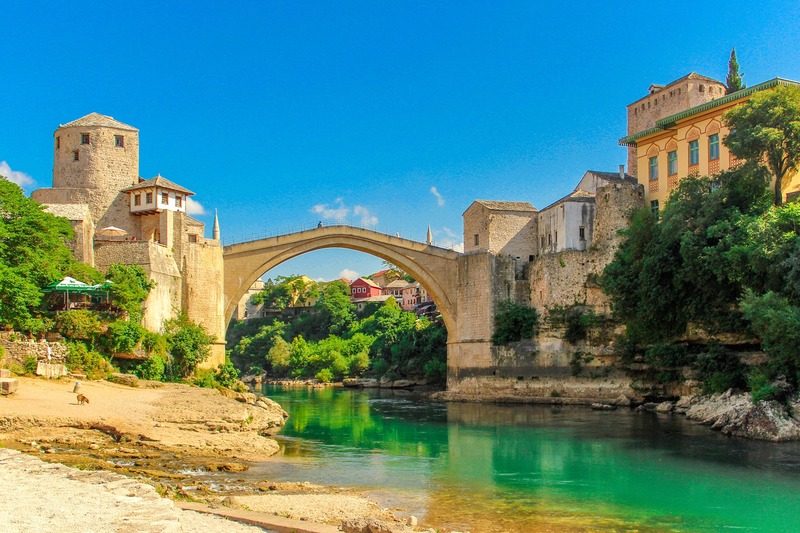 Take the most out of your holiday in Bosnia and Herzegovina with local expert Invicta Travel ! Book your trip with just a few clicks on the link below ! Our guide will meet you at Sarajevo International Airport, take you to your hotel for check in and make a short introduction about the city. You will have rest of the day for leisure and relax from exhausting flight. Overnight at 4* hotel in Sarajevo. After the rich breakfast at the hotel our guide will meet you at the lobby for the start of the tours. You will be transferred to Sarajevo Old Town Bascarsija for a 2 hours Sarajevo Walking Tour. On the tour you will find out all about the city's turbulent past from its early days of Ottoman empire, its Austro-Hungarian occupation, Yugoslav period all the way to modern times and its unfortunate war events of 90's. After the tour, take some time to explore the city core and do some shopping. 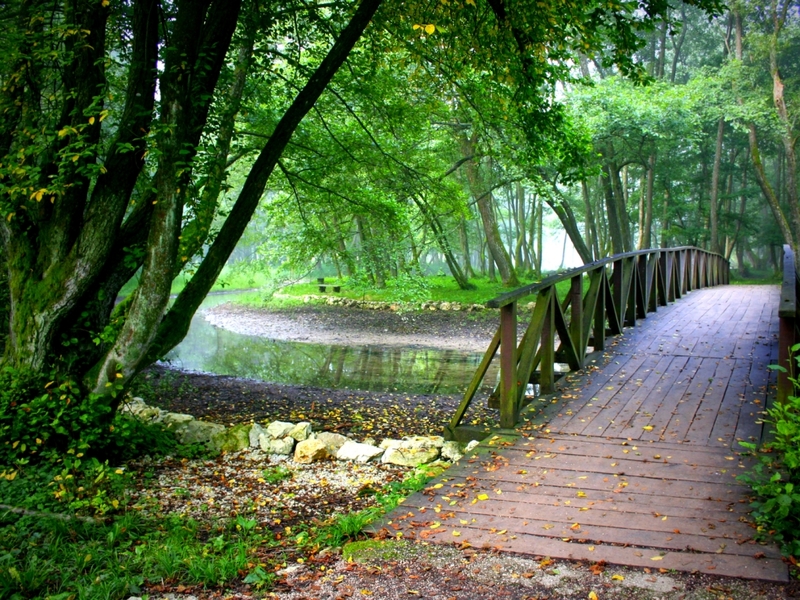 Next stop of the tour is Vrelo Bosne nature park - source of river Bosna. 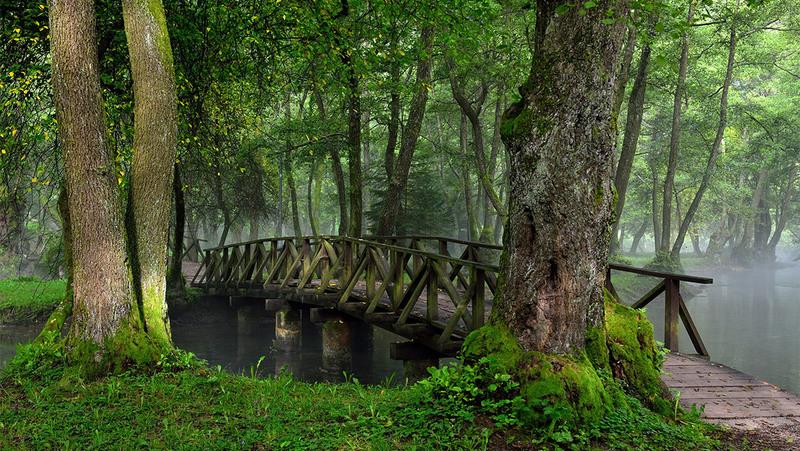 Vrelo Bosne is a peaceful setting ideal for relaxation of your body and soul. Here you can take a picnic or walk along the crystal clear water. After time in nature, we recommend an optional 10 minute horse carriage ride through wonderful Ilidza valley. Our guide will meet you at the end of the ride to take you back to your hotel. A perfect end of the Sarajevo tour. Overnight at 4* hotel in Sarajevo. After the breakfast at the hotel, our guide will meet you to take you to the sunny and warm part of our country, Herzegovina. Your first stop will be Konjic, small town dating from Ottoman empire. Here you will have a short tour along the Konjic Old Bridge and a coffee break overlooking the Neretva river. Your next stop will be the highlight of the tour. Your guide will take you to Mostar and its Old Town. You will visit its world famous UNESCO Heritage site, worldwide known Mostar Old Bridge where you will hear all the legends and stories about this amazing example of Ottoman architecture from 16th century. Final stop of the tour is a small town Blagaj. Blagaj is known as a pearl of Herzegovina and one of the most visited touristic sites in Bosnia & Herzegovina. With its beautiful source of river Buna, Blagaj represents an unique touristic place. Here we can try the best fish in the whole country and visit an old Blagaj Dervish House. After a wonderful day enriched by history and natural beauty of Herzegovina region, laid back and make yourself comfortable and enjoy the ride back to Sarajevo. Overnight at 4* hotel in Sarajevo. Breakfast at the hotel. Our guide will be waiting at the hotel lobby to pick you up for the tour to the mountains. Your first stop will be Igman mountain and its Ski Jumping hill, a leftover from the 1984 Olympic games. Here you will find out more about the Olympic Games and the time when Sarajevo was the center of the world. Next stop is Bjelasnica mountain, which hosted Ski disciplines, downhill and slalom. Nowdays Bjelasnica is a modern Ski destination with hotels and apartments all around. Here you can have a walk in the nature, cable car ride to the top of the mountain, rent a quad or simply enjoy the coffee or a tea overlooking the valley. Transfer back to hotel for a leisure afternoon. Overnight at 4* hotel in Sarajevo. Breakfast at the hotel. Guide will pick you up at your hotel to take you to your first destination, small town Travnik. After an hour drive from Sarajevo, you will arrive to Travnik, a city with perfect representation of Ottoman architecture. Travnik kept almost the same appearance as during Ottoman period with numerous mosques, houses and fountains. Here you take a break and try Bosnian coffee served in a very Bosnian way. Your next stop is the main highlight of the day, a visit to Jajce. You will have a short tour through Jajce Old Town and a visit to a famous Jajce waterfall where Pliva river meets river Vrbas. This natural monument is located in the very center of the town and has been named one of twelve most beautiful waterfalls in the world. Whether you are standing beneath it or looking down from above, the Pliva waterfall creates a spectacular view. For the end of your visit to northern part of Bosnia we planned a visit to Pliva lake and its spectacular watermills. Take a deep breath, and feel the beauty of green side of Jajce. Watermills are a perfect place for wonderful photos. Enjoy the ride back to Sarajevo and your hotel. Overnight at 4* hotel in Sarajevo. Breakfast at the hotel. On your last day of tours our guide will meet you at the hotel and take you to Trebevic mountain, Sarajevo's favorite excursion place. Trebevic is some 20 minutes from Sarajevo and it offers many activities for children and interesting spots for adults as well. First stop is Brus recreation area with numerous activities, small ZOO, walking paths and restaurants. Brus is also perfect place to make a picnic or just enjoy the mountain air. Next stop is Sarajevo Bobsleigh, a remaining monument of Sarajevo 1984 Olympic Games. For the end of the mountain tour we planned a visit to Sunnyland amusement park. Sunnyland is perfect place for children with its Alpine roller coaster. Adults can take a perfect panoramic photos overlooking Sarajevo. Our guide will take you also to a short shopping tour to Sarajevo shopping area. Transfer back to hotel. Overnight at 4* hotel in Sarajevo. Breakfast at the hotel. Our guide will pick you up after check out and take you to Sarajevo International Airport. Be sure to take good memories and warm recommendations of your holiday in Bosnia & Herzegovina with Invicta Travel.